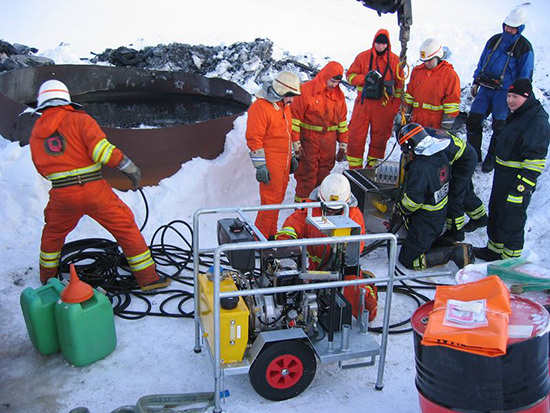 Power Packs - Multipurpose packs - SOS Safety International Inc.
DESMI offers a very comprehensive range, 3-219W, of diesel and electrically driven multipurpose power packs / hydraulic power units for operating oil spill control equipment such as boom reels, skimmers and pump – as well as other devices. These power packs are offered with 2 or more hydraulic circuits for operating a range of equipment. 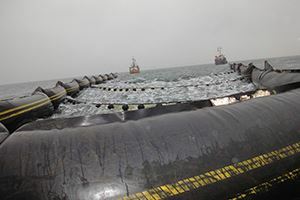 Our oil spill products have been adapted to work with these power packs thus reducing the number of single function power packs to an absolute minimum. 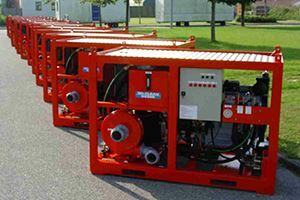 DESMI Ro-Clean offers a very comprehensive range of diesel and electrically driven hydraulic power packs (hydraulic power units) for operating oil spill control equipment such as boom reels, skimmers and pumps, as well as other devices. Many of these power packs are offered with two or more hydraulic circuits. Our oil spill products have been adapted to work with these power packs and therefore reduce the number of single function power packs to an absolute minimum. This provides the operator with the most versatile equipment. 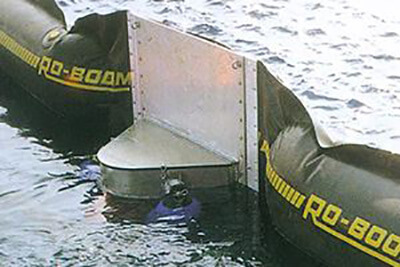 In addition these units may reduce the overall investment of establishing an oil spill response capability. The power packs are designed for easy access to components and have steel frames that are hot galvanised or epoxy painted. The 25 kW / 33 hp model is available with either manual or electronic remote controls, so the operator can place himself in the best position to observe the activity – vastly improving safety. All models of power pack excluding the 3.1kW model can be fitted with an optional air blower for boom inflation and deflation reducing the need for ancillary equipment. The 25 kW / 34 hp Multi-purpose power pack can be supplied with a hydraulic knuckle crane incorporated on the same skid frame. The DOP-160 vertical screw pump can be attached to the end of the knuckle crane for powered handling. Additionally the crane may be used for a variety of purposes including skimmer handling. Our proven equipment is specially designed and constructed for use by emergency services. The MULTI-PURPOSE POWER PACKS from DESMI Ro-Clean are extremely versatile units. Many of these power packs are offered with two or more hydraulic circuits. Our oil spill products have been adapted to work with these power packs and therefore reduce the number of single function power packs to an absolute minimum. This provides the operator with the most versatile equipment. 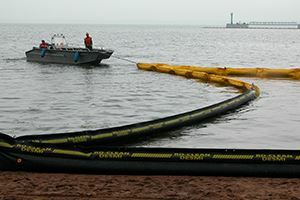 In addition, these units may reduce the overall investment of establishing an oil spill response capacity. The power packs are designed for easy access to components, and have steel frames that are hot galvanised or epoxy painted. The 42, 50, 86 and 119 kW / 57, 68, 117 & 162 hp models are available with manual or electronic remote controls so the operator can place himself in the position to observe the activity – vastly improving safety! The 42 kW/57 hp, 50 kW / 68 hp, 86 KW / 117 hp and 119 kW / 162 hp Multi-purpose power pack can be supplied with a hydraulic knuckle crane incorporated on the same skid frame. The DOP-250 DUAL vertical screw pump can be attached to the end of the knuckle crane for powered handling. Additionally the crane may be used for a variety of purposes including skimmer handling.